We hosted another successful month of Pachanga in July, Check out the pics!!! Festival season is almost over it’s time to breakdown the Pitchfork weekend. Friday featured amazing performances from Dawn Richard, Hiss Golden Messenger, Vince Staples, Thurston Moore, Danny Brown, Kamaiyah, and LCD Soundsystem. 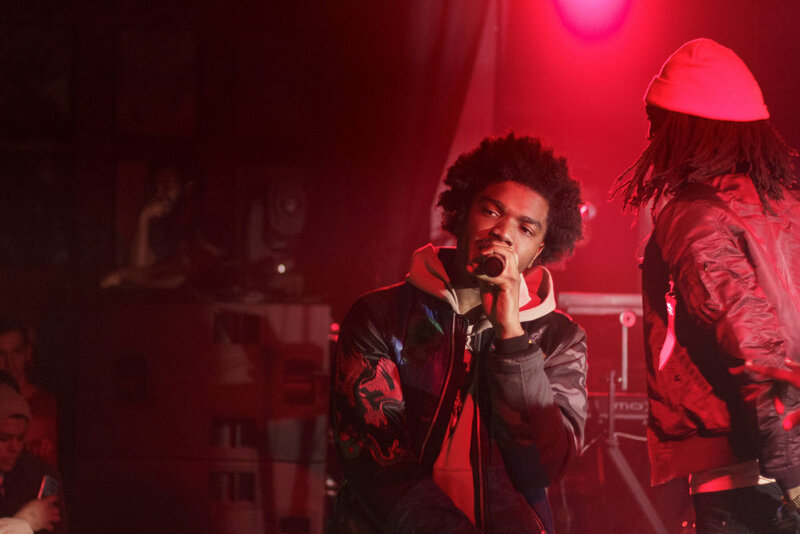 Vince Staples, Danny Brown, Dawn Richards and Kamaiyah brought the energy. Vince Staples (Long Beach, California) performed songs off his latest album Big Fish Theory. He also performed Ascension off the Gorillaz album Humanz. The crowd went crazy for this song. The aesthetics for his performance was a basic orange background. Vince Staples is a well known personality in the hip hop world. He is intense, outspoken and speaks the truth. This resonated through his whole performance. Danny Brown (Detroit) is a unique performer in the hip hop world. He walked out onto the stage in his black Carhart jacket and aviator sunglasses with the devil horns up while Black Sabbath was playing in the background. He proceeded to jump into his set. He commanded the stage walking from one side of the stage to the other like a linebacker looking for a sack. Each rhyme was delivered with his unique high pitch tone in his voice that every Danny Brown fan would recognize. The fans were given a performance to remember. As I was exiting the pit I noticed a mosh pit about to start. I noticed a twinkle in on fans eye before the beat dropped. There was a magic moment of Danny Brown and the moshpit came together in unicen like a Beethoven symphony. Kamaiyah and Dawn brought a strong female presence to Fridays lineup. Kamaiyah (Oakland, California) was apart of the 2017 XXL freshman class. Hip Hop is a male dominated genre so to see her on the list was refreshing. She had a diverse crowd that knew all the words to her songs. Her energy was at level 100. Dawn former member of Danity Kane moved in unison with her backup dancers to the infectious rhythms of her music. At first, I was surprised by the crowd she drew. After her performance I saw why her fans were so passionate. Saturday featured performances from Mitski, George Clinton, Francis and the Lights, Madlib, PJ Harvey, and A Tribe Called Quest. 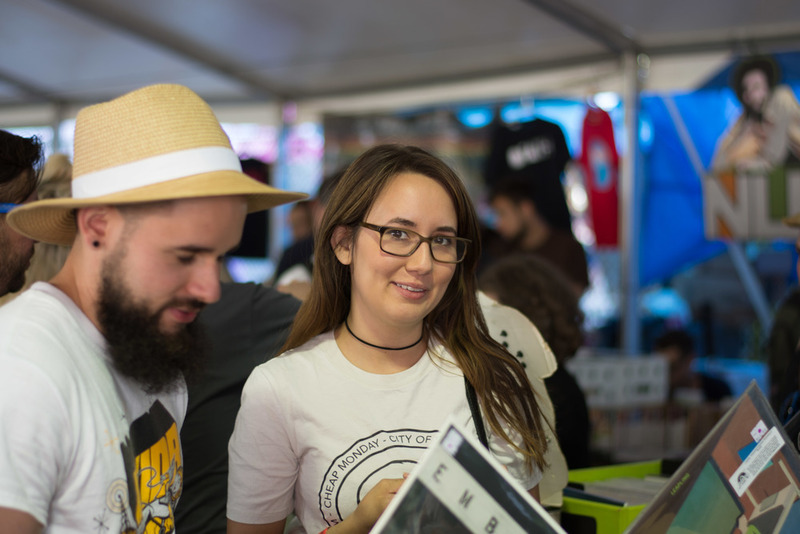 On Saturday the power of music was full force during Mitskis afternoon set. Mitski is a female Japanese American singer songwriter. In the pit as I was taking photos during her set I noticed a young woman crying tears of joy. She was overwhelmed by the beauty of the music and moment. Mitski was overwhelmed with emotion as well when she said “performing for large crowds was her dream and that she hoped that everyone in the crowds dream come true as well”. Later on I saw the young woman walking while I was eating my delicious food from Chicago Diner. We talked about why she was crying. She said “I really relate because she’s a young Japanese woman who makes beautiful music”. To me this hit close to home because when I was kid I didn’t see a lot latinos or latinas doing the things I thought were cool. For this generation social media has opened doors to discover like minded individuals from their backgrounds. Hip Hop legend Madlib performed a DJ set for the ages. He played Stonesthrow Record and underground classics. This was one of the best bookings of this years Pitchfork music festival. Madlib has been producing hip hop classics for over 20 years. This was a gift to all the hip hop heads in Chicago. Speaking of hip hop legends this really unknown group called A Tribe Called Quest closed the night. In all seriousness ATCQ have been a golden era staple to all hip hop fans. Their set did not disappoint. They had one microphone on stage for Phife Dawg who passed away in March of 2016. Anytime one of his verses came on the crowd rapped all the words. Q-Tip probably the most commercially successful individual of the living members was charismatic and energetic. His camo print jacket set the tone as if he was going into battle. His battle was to perform for an hour and a half. I had the pleasure of catching the last 30 minutes of their set from the VIP bleachers. To see a sea of people all in one place out of love for one group was magic. They closed the night with “Can I kick it”, “Bonita Applebum”, and “We the people”. Q-Tip made the crowd repeat “We are all one”. Saturday night we were all united for love and ATCQ. 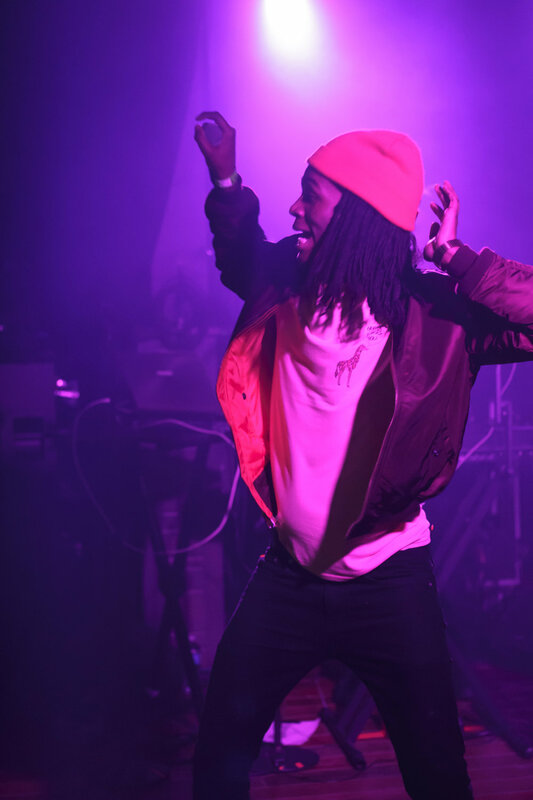 Sunday had amazing performances from Kevin Koval and the Young Chicago Authors, Derrick Carter, Isaiah Rashad, Joey Purp, Jamila Woods, and Solange. Chicago was represented to the fullest on Sunday. Kevin Koval and The Young Chicago Authors started with an amazing showcase of amazing Chicago Poets. Derrick Carter spun a sublime set of House Music to kick off the day. 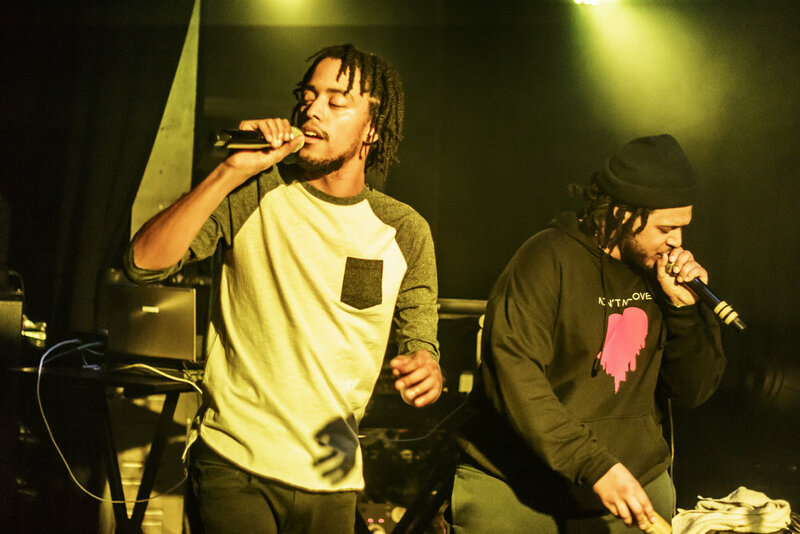 Joey Purp and Jamila Woods represented the new movement of Chicago music. The highlight of the afternoon should’ve been Solange but Jamila Woods playing the Green stage stole the show. Kevin Koval and The Young Chicago Authors started the day at 2:00 p.m. with a poetry showcase that featured poetry from Fatima Asghar writer of the emmy nominated Brown Girls Web Series. Her poetry spoke of the Muslim American experience. That theme seemed to resonate through the whole showcase. Jose Olivarez spoke of the Mexican American experience. Raych Jackson and Eve Ewing showcased poetry as well. They are both educators, poets and women of color. Raych is a CPS third grade teacher and Eve is a professor at the University of Chicago.Their poetry resonated the experience of being an observant, educated women of color. Kevin Koval delivered a poem called molemen beat tapes about his love for Chicago and hip hop. Kevin Koval is a Chicago institution. All the poets showcased were amazing. As I walking towards the blue stage to stand in line for the pit to shoot Jamila Woods. I had received a text prior to this that The Avalanches had cancelled their performance four before their scheduled performance. This was very disappointing. I saw my friend Darryl and he told me that she had been moved to the much larger green stage. As I walked towards the green stage I started to think how prophetic this moment was her because she is a well known artist on the brink of mainstream success. What better moment to showcase herself in front of a bigger audience. All the photographers were in the pit as the band was soundchecking you could tell there were nerves. They had to redo their soundcheck that they had completed probably an hour earlier. She eventually came out and ceased the moment. Jamila oozed confidence and beauty through her voice. 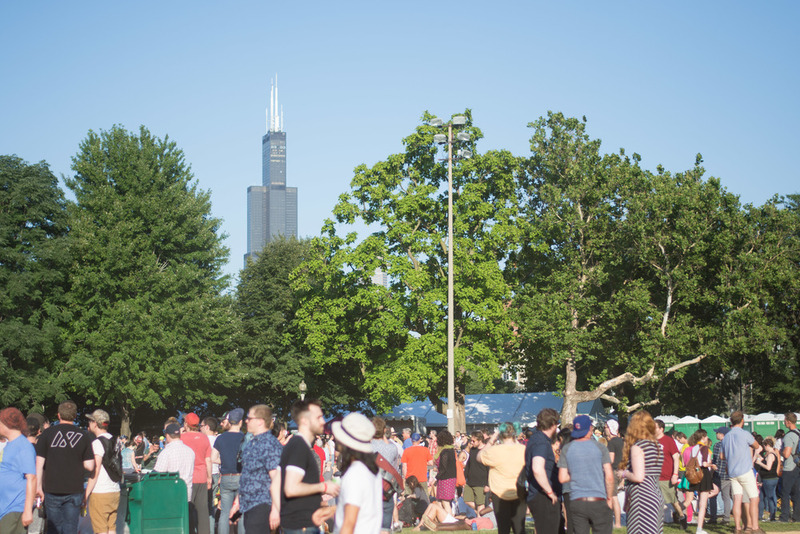 Women of color and minorities were represented this past weekend at Pitchfork. To me this was the true success of the weekend. We had the pleasure of working w/ the Gozamos crew at Ruido Fest 2017. Here are some pics from the Weekend. We hosted our third edition of Pachanga w/ our homies the rude gents. We had an amazing night. Were looking forward to doing this all over again on July 26th. We held our second Pachanga on May 31st we had DJ Cease Days, DJ Calixta, and DJ Memo on the decks for the evening. We had a special performance from Logan Lu y Lester Rey. They did a live Raggaeton set with Richard Juarez and Jess Veronica. The night was a huge success and we are looking forward to continuing this series. We have started a new series of shows with our homies from the Rude Gents called Pachanga. Pachanga is a celebration of out Latin culture. Our first Pachanga featured DJ Calixta, DJ Memo, and DJ Solmeca. We had a live performance from Los Guapachosos. The love in the room was amazing and people were dancing. The photos were taken by the homie Khori Wilson. The recap was filmed and edited by Francisco Soriano. The March Boogie Down featured Sonorama, Beats y Bateria, DJ Step, Memo, and Drag Leon. We had amazing performers and a fun time. We teamed up with Khori Wilson to throw a latinx alternative rock show at the East Room in February. The night featured Mermaid N.V., Man Cub, and You Are Here. An electric night of good music, showpersonship, and drinks. We had the pleasure of doing some production assistant work for a new series called Peeled Back. The series is collaboration between Syd Celeste and Darryl Turnbow of 119 Productions. Peeled Back combines a dancer and musician (poet, singer, or rapper) and the dancer moves to the words of the performer. The East Room has been so kind to us over the last year. They've allowed us to showcase some of the best performers in Chicago. We've been running a night called the Boogie Down. The Boogie Down is a classic dance party centered around Lainx and Black artists (Visual x Music). We've featured musicians such as Lester Rey, Chai Tulani, Calid B., Beats y Bateria, Subele, Doum Sound, and ESSO Afrojam Funkbeat. We held our events in October and December of Last year. Our most recent ones were held in February and March of this year. We added a new partner in Guillermo Duarte (Rude Gentleman). Our future is looking very bright. We appreciate all the folks who have contributed and attended our events. We are looking forward to continuing throwing amazing parties. 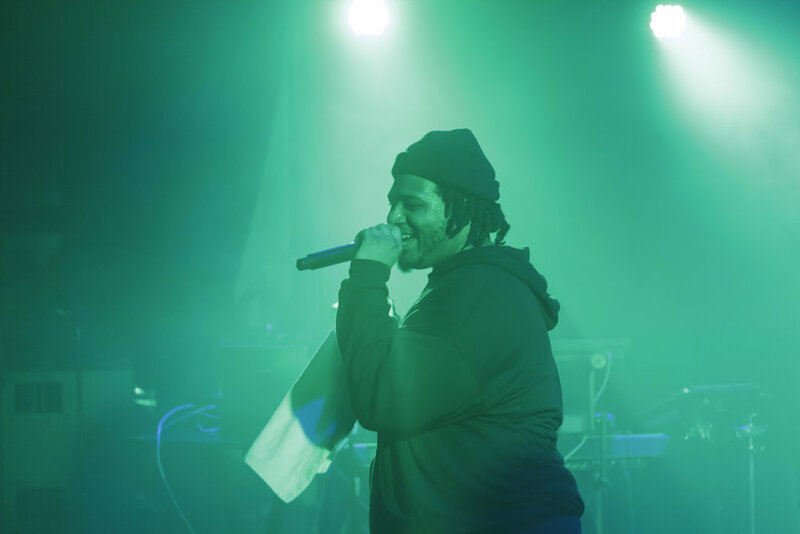 Rich Jones (Chicago Emcee/ Vocalist) hosted his release party for ‘Vegas’ his new EP. 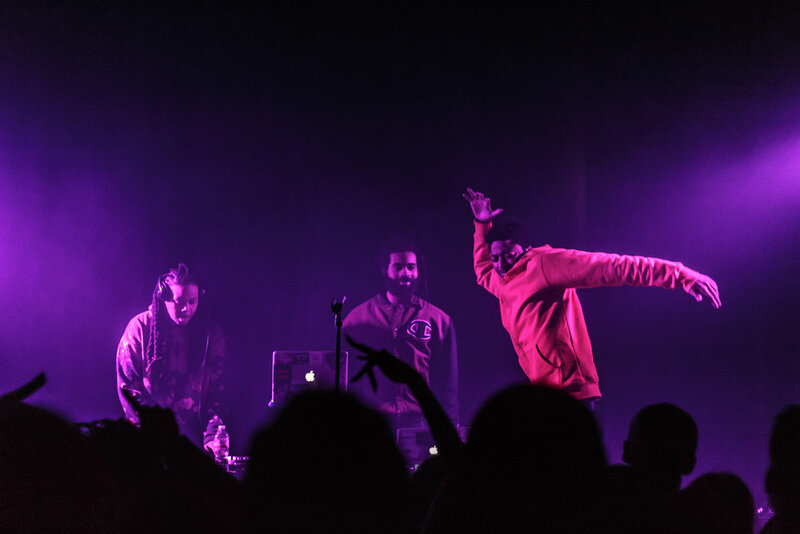 The party was at Lincoln Hall on January 20th, 2017. He enlisted the help of Qari (former member of Hurt Everybody), L.A. VanGogh, Burns Twins and Kaina, Sports Boyfriend, and DJ Skoli. DJ Skoli kicked off the night with some mid tempo hip hop. DJ Skoli is an amazing up and coming DJ who has worked with Project 23, AMFM Mag, and Blackenomics. His connection with artists around the city is what makes him special. He was followed by Sports Boyfriend. She came on stage with a guitar and her laptop in front of her. I wasn’t sure what to expect. Her music had a synth pop chill vibe to it. She was a great opener because she set a relaxed tone for the evening. Burns Twins and Kaina (Production Duo) performed next and I was blown away by their performance. Their energy was infectious. The musicianship of the group and Kaina was dynamic. The music was so fat because of the instruments were so deep. The band consisted of guitar, bass, drum, keys, and trumpet. When you add Kainas voice over all these beautiful instruments it was sublime. The youth of the group was amazing. It’s very inspiring to see young people creating such beautiful music. L.A. VanGogh (Private Stock artist) performed songs off of his new project Friends First. He is an interesting artist in regards to his talents. He plays piano, sings, and he’s an amazing emcee. I was really impressed with his performance because I saw the growth musically and on stage. I saw him perform two times in 2016 and I could tell he was in the lab perfecting his craft. He performed a crowd favorite “Bills Paid”. Who can’t relate to being happy because your bills are paid? Rich Jones made a great decision for having L.A. VanGogh at his show. 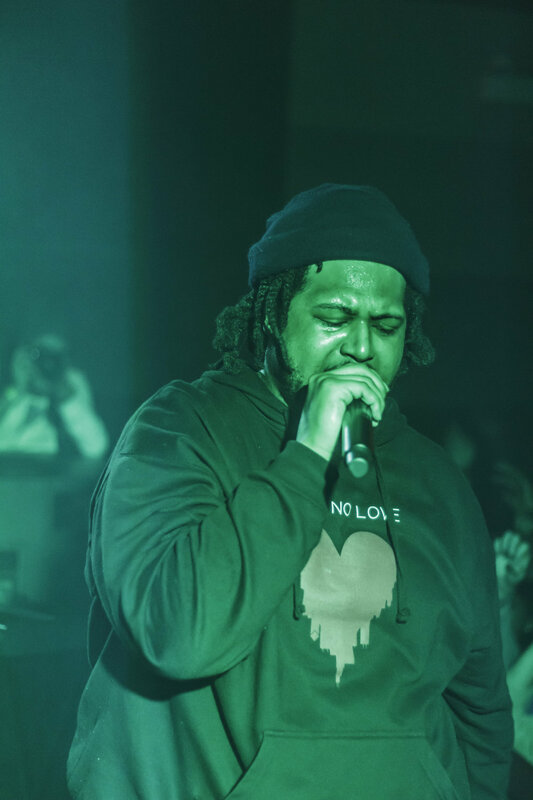 Qari (former member of Hurt Everybody) performed songs off of his new project “Space Jam”. Qari had relaxed body language while waiting for the sound guy to get the stage ready. This was the vibe for his performance. I really enjoyed this because he brought the energy down in the room in a way where it did not overshadow Rich Jones. Qaris performance was thoughtful. He spoke on the current political climate in the United States. He said “whatever you believe in just be kind to one another”. This was poignant for me because Hip Hop is seen as an aggressive art form. The roots of Hip Hop are social justice and peace. I feel a lot of the new artists are coming back to the fun of Hip Hop. Finally Rich Jones hit the stage with some of the members of the Burns Twins band to a full house. His story is well known in the Chicago music community. He is the curator of the All Smiles showcase. All Smiles is a known show case to catch some of the best Chicago musicians. I wasn’t sure how his recordings were going to translate live. The band complimented his unique voice. Not only is he an accomplished emcee he’s a great vocalist as well. I really love the unique sound of “Vegas”. It’s not a traditional hip hop EP. It has a heavy synthpop album. I enjoy the revolution that is happening in music. 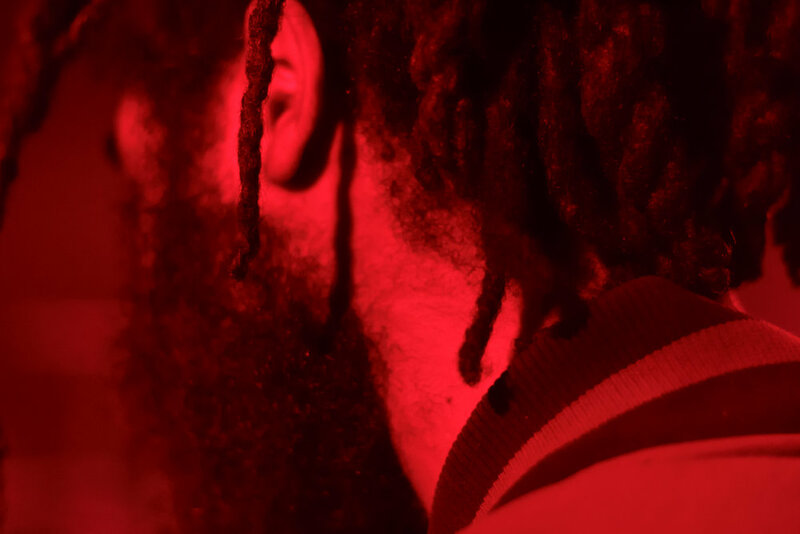 Hip Hop because emcees are thinking out of the box and blurring genre lines. Rich Jones is a prime example of this progressive thinking. The way the line up for the evening was put together shows his appreciation for music of all genres. The show was amazing and the diversity of the performers really shined throughout the night. 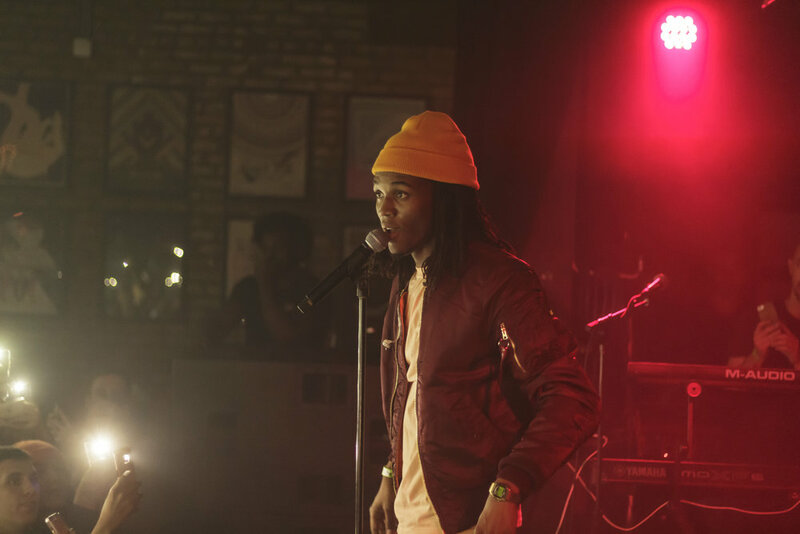 On Friday 1/6/2017 Saba hosted his first show in Chicago since he released his project the Bucket List Project. The night featured DJ sets by Ambi Lyrics, Dam Dam, and Squeak Pivot. 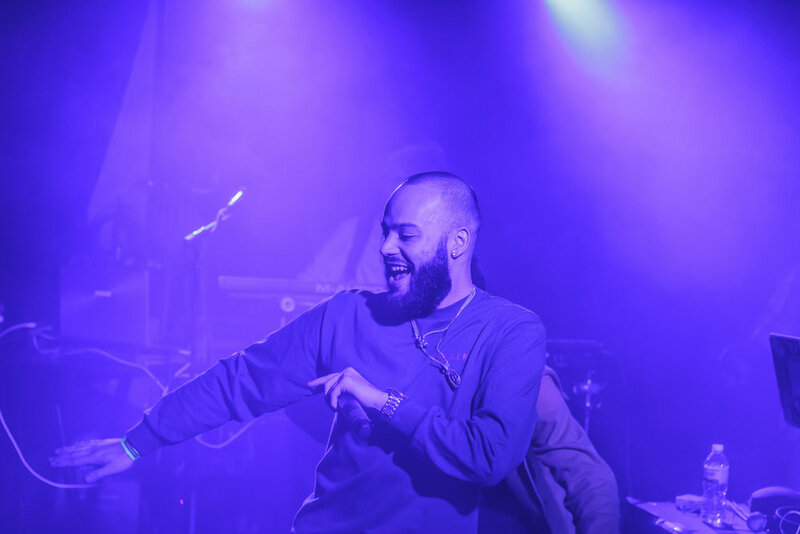 The night featured performances from Dinner with John, Joseph Chilliams, and MFN Melo. Ambi Lyrics kicked the night off by playing cllis songs such as "Knuck if you Buck". She is L.A. VanGoghs (Private Stock Artist) DJ. Hip Hop is such a boys club it was good to see female representation at this show. first and foremost she is a DJ and true representative of Chicagos Hip Hop culture. She was followed by Dinner with John. Dinner kicked brought his brand of chillbeats and lyricism. He was a great starter because he got the crowd ready for #pivotgang. Squeak Pivot followed up with his DJ Set. He did a short up tempo set before MFN Melo hit the stage. MFN Melo was the first member of #Pivotgang to perform. He's a big guy with a lot of energy. He performed w/ Jameson Brenner on guitar. I love seeing emcees perform with live instrumentation. His crowd interaction really got the crowd behind him. 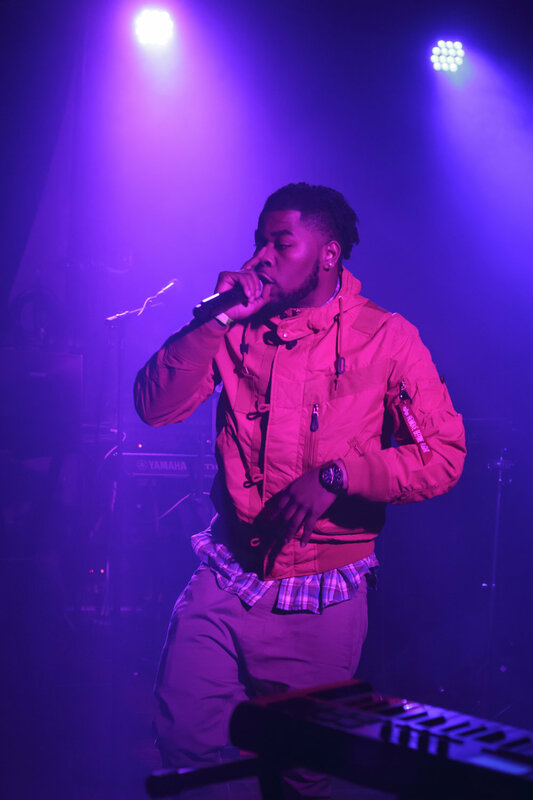 MFN Melo is an emcee in Chicago to look out for. Joseph Chilliams (Saba Pivots Brother) performed after Melo. Joseph has an interesting set. His set was a stand-up comedy and a hip hop show. He would introduce each song with a story. He had the crowd so captivated that you forgot that you were at a Hip Hop show. His confidence was inviting. He performed a verse from the song "Forever" off No Name Gypsys album Telefone. The crowd even sang the hook from the song. Out of nowhere Supa Bwe of Hurt Everybody jumps on stage to perform they just recorded. Josephs set was amazing in itself. 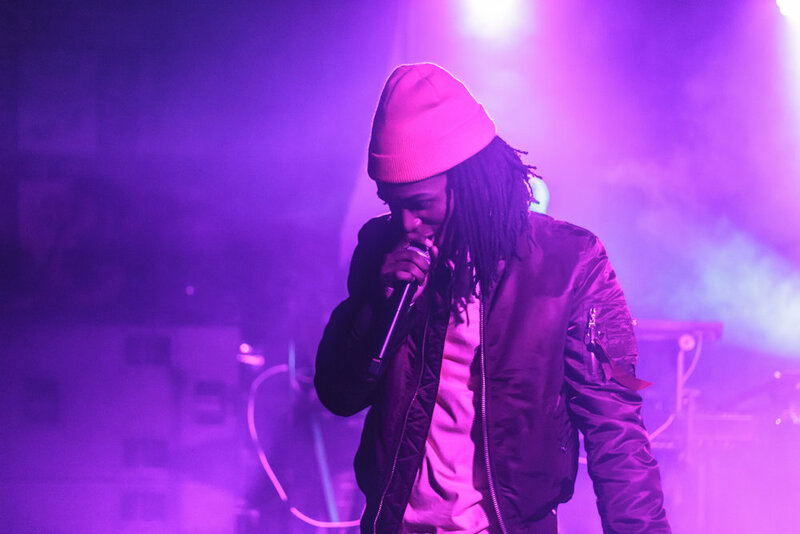 You almost couldn't believe that Saba was still performing. Dam Dam followed Josephs set with a VJ set to get the crowd pumped up for Saba. Finally Saba hit the stage and he did not dissapoint. There was a feeling in the air that you were in a special place. I can compare it to if you were at Chance the Rappers Acid Rap show. The Bucket List Projet represents accomplising your goals without fear of failure. At one point in the show me and Ciera looked at each other and said "every song is our favorite song". He had a guest performance Smino and LEGIT for the song "World in my hands". He also took it back to Comfort Zone by performing "Time Zone" and " Butter". Those were crowd favorites as well. He put on a performance that I will never forget. To think it's only the first week of 2017 and I feel like I went to the best show of 2017. This show was a big deal for Chicago music. 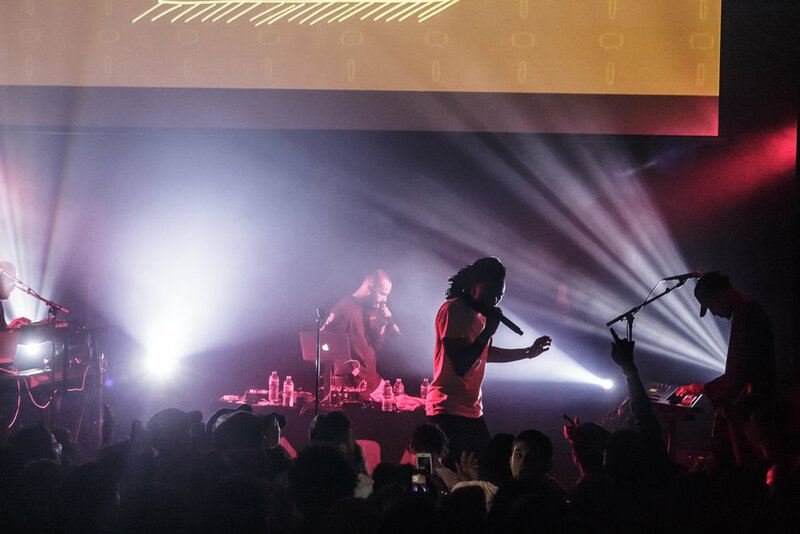 Saba is on the way to main stream success. To close out the show he performed "Westside Bound 3" with his brother Joseph Chilliams. The place erupted at this point. Pivot Gang was on stage going crazy. The best part was I experienced this show with my friend Ciera. This will be a night I will never forget. Dos Santos had an amazing release party with amazing people and music. Day 1 of AAHH Fest presented by Chicago emcee Common was an amazing showcase of Chicago talent. The talent ranged from kids to adults. 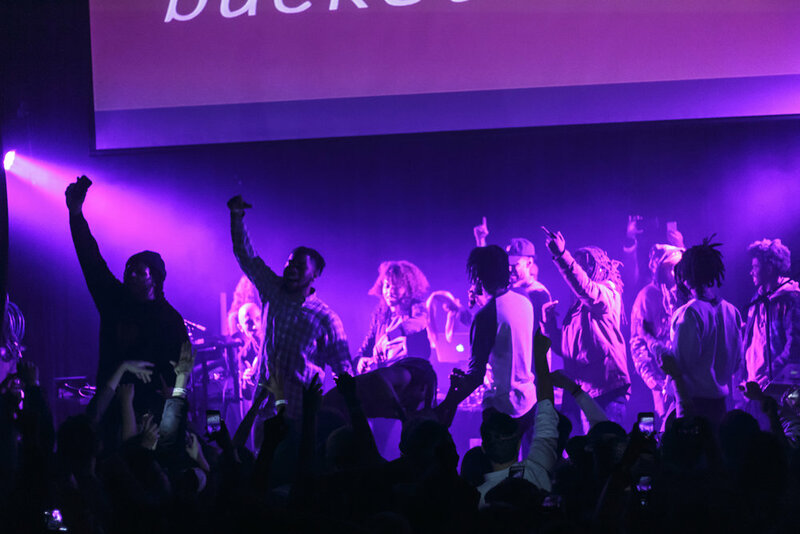 The day featured performances from Attack the Sound, Ace Da Vinci, Huey Gang, John the Author, The Pack Drumline & Dance Crew, Stick & Move Youth Crew, Lil Prophet, Vic Mensa, Chance the Rapper, Taylor Bennett, and Tink. The day was all about bringing the youth of Chicago together for a positive event. This event was a huge success for the City of Chicago and it's youth. We hosted a Cancer Benefit show for our friend Sean Akins last month. We raised a good amount of money to go towards his treatment. The night was filled with amazing performances from Joslyn Marie, Bumbac Joe, and Ace da Vinci. The night was amazing because we were all their to help an important member of the Chicago Art community. DXTR Spits (The Mad Scientist) set off a contagious chain reaction from an experiment he lost control of. Everyone has been contaminated by toxic glow in the dark serum that inspires people. Pitch Fork Saturday 2016 was an amazing experience. 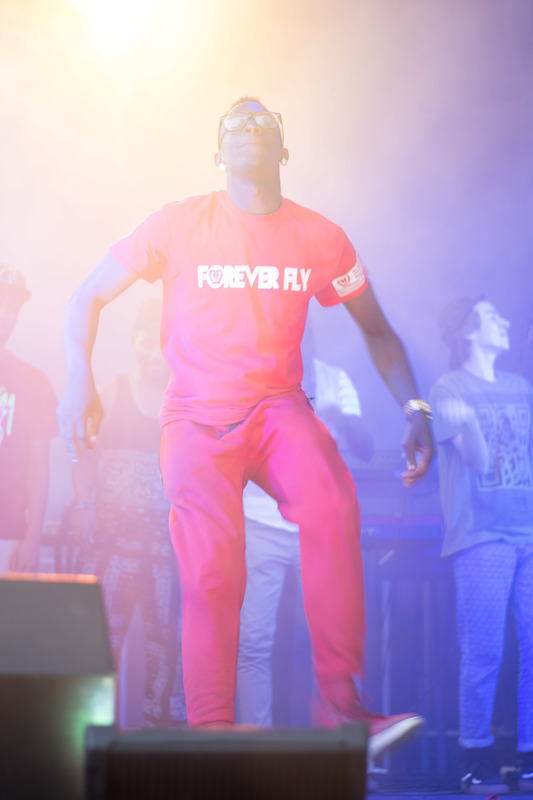 We had the opportunity to take pictures of some of our favorite up and coming Hip Hop artists. BJ the Chicago Kid represented Chicago to the fullest. The highlight of the evening was Anderson Paak. He was the true headliner of the evening in our own personal opinion.